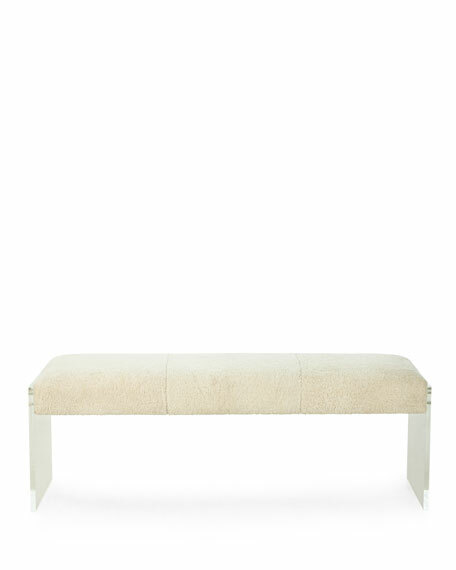 A cream shearling seat brings a decadent touch to this sleek acrylic bench. 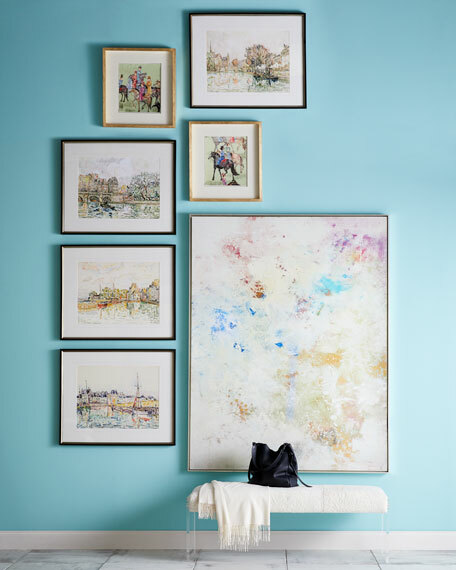 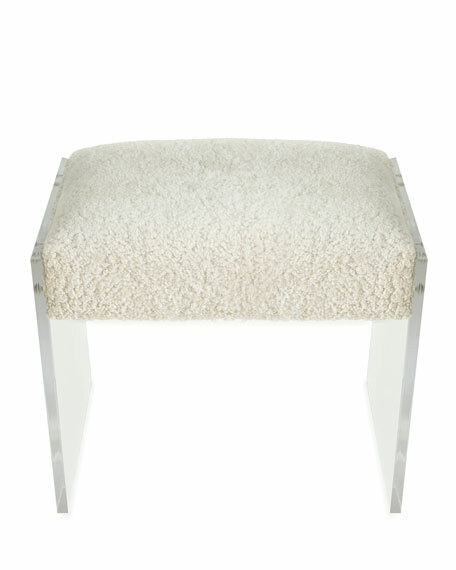 Dyed sheep shearling (India) seat. 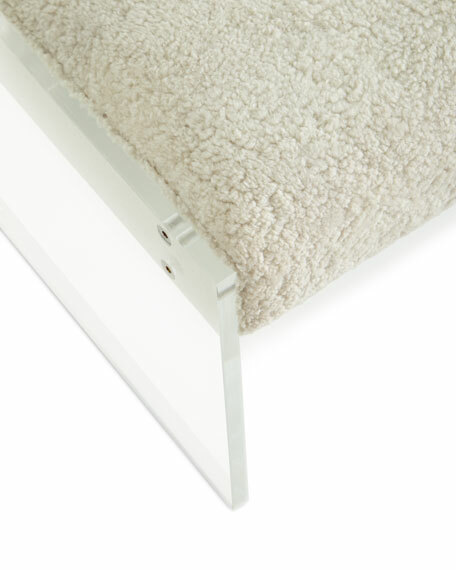 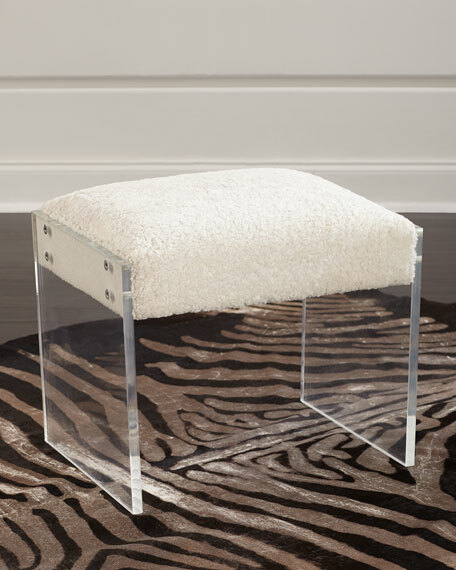 54"W x 16"D x 18"T.
A cream shearling seat brings a decadent touch to this sleek acrylic stool. 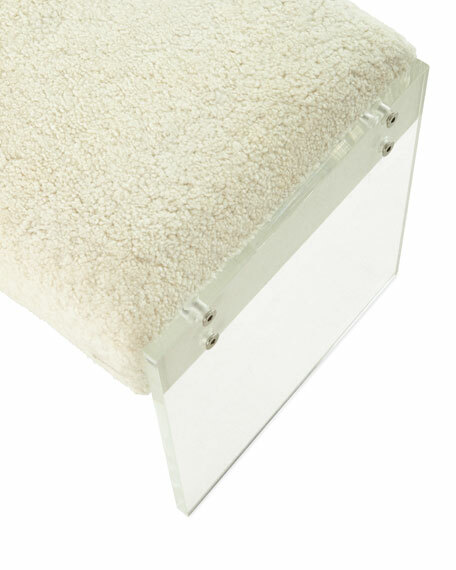 22"W x 16"D x 18"T.
Boxed weight, approximately 16 lbs.